As humans, we like to think we sit at the top in the animal kingdom. We’re smarter, we can think critically (sometimes), we speak multiple languages, we can walk upright, we’re powerful, etc. But every now and then, we get humbled. As much as we like to THINK we’re the best, the smallest of things can take us down. A bullet. Words. Bacteria and viruses. Things we don’t always see or know are coming can be our downfall; and in that moment we remember: we share this world with others. We’re humbly reminded that to live in this world, in peace, we must find a balance and never tip the scale; for tipping the scale can lead to chaos. That is Mushi-shi. 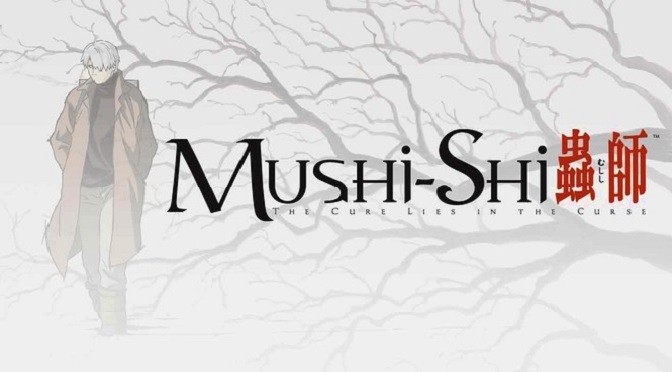 Mushi-shi is an award winning anime series that shows how the lives of humans can be favored or put in danger by living creatures called mushi. The story “follows” a Mushi master, or Mushishi, named Ginko as he helps keep the lives of humans and mushi in a space of harmony and balance. Mushi, for lack of better words, are protozoa-like creatures who live just as protozoa and other microscopic organisms do. They exist in their own world with singular thinking and rarely bother anyone – unless there is a huge group of them or they’re on a typical life-or-death kind of mission such as reproducing or adapting to new surroundings. In the overall scheme, mushi are harmless and they don’t necessarily attack or prey upon humans and animals. 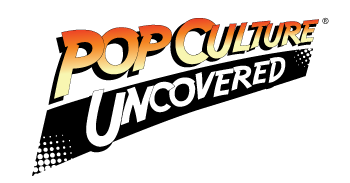 They just happen to collide with them as they’re living their regular lives. For example, in episode 3 of season 1: Tender Horns, a mushi called the Un affected a lot of people in a specific mountain village. The Un feeds off of sounds and live in the forest usually, but during the winter the snow absorbs the sound, so the Un ventures out for sound; which led them to the village. To absorb or eat sound, they reside in the ear of a human; and in turn the human loses hearing in the ear the Un decides to park in. As silly as it may seem, the Un are not malicious or cruel creatures, they’re just trying to survive. They didn’t specifically target humans, they were just looking for sound during a quiet winter. The people in the village are inconvenienced, but are never in mortal danger. With a quick visit from Ginko and a little salt water in the ear, they are Un free. However, this is not to say that mushi are completely harmless or should be taken lightly. Even though their actions can sometimes be a mild inconvenience, the actions of these creatures can also be viewed as damaging, and actually cause serious harm even if they don’t necessarily mean to. In the same episode, a boy is infected with a “sister” mushi to the Un, the Ah. Unlike the Un, the Ah feed off of the silence left behind by the Un when they eat sounds. The Ah eat silence and in the process they make a lot of noise, but only their host can hear this noise. While making a lot of noise, the host will grow horns that act as amps for the sounds of the Ah. In one case, according to Ginko, the only case of someone being affected with the Ah led their death via exhaustion because the constant, loud sound of the Ah wore them down. Coincidentally, that happened to be the boy’s mother. I won’t spoil the episode for you, but I can promise you that this episode and the whole series are worth watching. Mushi-shi is a series that uses the main character Ginko as a vehicle for plot development rather than developing him as a character. Yes, you do learn more about Ginko and how he became a Mushishi, but he is never the focus of the story unless it’s an episode about him and that’s it. His role in this series is to help the people he comes across troubled with mushi, and let us the audience focus on the mushi and the people they interact with. With each episode, you learn more about the relationship mushi and humans have, and you’re given opportunities to reflect on if the relationships are beneficial or not. In cases like this, Ginko serves more as a narrator of his own journey as he walks across the lands, even though he is literally in the sticks of mushi problem-solving. By helping the people affected by the mushi, he teaches those he helps about the mushi they encountered and how they both fit in the grand scheme of things. People who encounter mushi are either: unbothered, saved by a Mushishi, or horribly devastated by these almost primitive creatures. Like a normal response, they get upset and sometimes defensive when something seemingly foreign enters their space. Sometimes, their first reaction is to eradicate the mushi; as long as it’s gone its fine. But through Ginko and his calm way of being, they learn that just like how they view the mushi, the rest of the world views them the same way. Despite wanting to believe that we are all-powerful and all-knowing, we are but a small speck in the world. We make a huge impact with our carelessness and reckless abandon, but we share this space with others and need to learn more respect and understanding. Using an anthological style of storyline, coupled with beautiful animation and music, Mushi-shi tells various stories with the same message. We are not alone and we shouldn’t act like we are. To live in peace, we must learn to live in harmony. Every action has a consequence and we must learn what role we play in this world. Instead of trying to be on top or trying to be superior, it is better to learn how we can keep the world spinning rather than forcing it to crash and burn. 5 mushi(repellent)-tobacco cigarettes out of 5.